Ghana isn’t really a nation which comes to mind when soccer is talked about, however one name which surely does come up is that of Asamoah Gyan. It is no exaggeration when it is stated that Gyan out Ghana on the map firmly as a hidden gem when it comes to soccer talent. Ever since Gyan left the national team it has never really been the same. Gyan’s strong ability to score goals and his quick movements in the soccer field have firmly cemented him as a force to be reckoned with in the soccer field. Gyan is also one of those rare breed of players who captained his national team, played for the UAE clubs and the Premier League club. Currently he plays for the Al Ahli team in the UEA League. Asamoah Gyan was born in November 1985 in Accra Ghana. Gyan began his professional career at the age of 18 with the Ghanian Premier League club Liberty Professionals. He scored ten goals in sixteen matches. This was quite an achievement for one so young. He also played for Serie A club Udinese where he scored 11 goals in 39 matches. Gyan also played for Ligue 1 club Rennes and then Sunderland. Gyan’s innate ability to read the ball and dictate play has always been a valuable asset, it is why he is considered such an asset for his national team and within the UEA League. 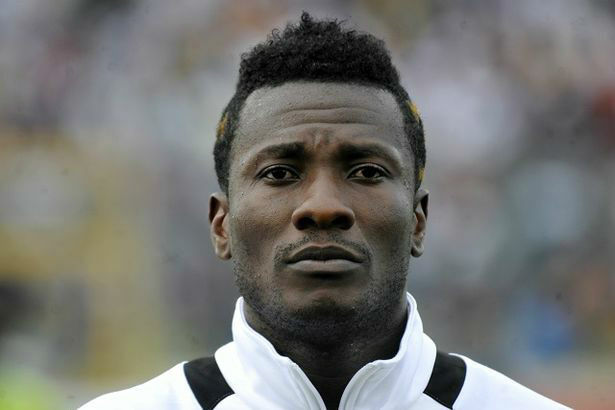 Despite a solid club career it was playing for his national team which made Gyan into a prized hero. Whenever he played for Ghana he always scored which is why it comes as no surprise that he has been voted Man of the Match so many times. He is called the Ghanian talisman as he remains their most prolific goal scorer. He played for the UAE club for four seasons which was followed by one season in China and then a return to the UAE club in Dubai. In terms of his scoring, he never failed to impress. He scored 95 goals in 83 league matches in a span of just four years for Al Ain. Gyan has won the coveted Golden Boot award three times and scored the winning goal at the Presidents Cup. He was also the Asian Champions Leagues top scorer with 12 goals in 2010. Gyan has represented Ghana at the 2006, 2010 and 2014 FIFA World Cups. With six goals he is the top African goal scorer in the history of the World Cup. Gyan also lead his team to the finals of the 2004 Summer Olympics. Gyan has been voted BBC’s African Footballer of the Year in 2010. He has been named as the CAF Team of the Year three times in 2010, 2013 and 2014. For three consecutive years he has been the UAE’s Pro League Top Scorer. He was also the ACF’s Champions League Top Scorer in 2014 and the AFC Foreign Player of the Year in 2014.